The Department of Defense is, at best, managing through and, at worst, muddling through, its most challenging period in modern times. In fairness, it is difficult to assess with accuracy what’s happening in the Pentagon; it has become as tightly tucked as the hospital corners on a recruit’s bed. With some exceptions, leaders have eschewed deep public engagements and released few unclassified details against which to assess the state of the military. What is publicly available suggests a Department scoring wins in operations, strategy, and budget but also facing significant headwinds in sustaining success in these three areas. Operations: Disaster Averted. Oversight Concerns Rising. The most important measure of success in FY 2018 was that the United States initiated no new wars and did not renege on its current treaty commitments and force posture. “Fire and fury” rhetoric did not result in either a nuclear exchange with North Korea or aprecipitous withdrawal of U.S. forces from the region. The North Atlantic Treaty Organization (NATO) alliance survived President Trump’s heated summit rhetoric (for a second year) and warm Helsinki meeting with Putin , and the United States, along with its allies and partners, continued to strengthen its deterrent posture on NATO’s eastern flank. Moreover, the United States made substantial operational gains against the Islamic State, even if it did not seem to translate into strategic gains in the Iraq-Syria theater or in Afghanistan. These achievements should not be taken for granted. A generous spirit can even chalk up lack of progress in other areas to securing these important gains. Some operational incidents, however, drew significant concern from the public and legislators. The fiscal year opened with the deaths of four U.S. soldiers in Niger under compromised command and control conditions. It is closing with significant questions about how U.S. support for Saudi-led operations in Yemen may be affecting the humanitarian crisis now underway there. U.S. operations in Afghanistan and the Syria-Iraq theater, by contrast, have elicited relatively little public attention. Interest from Congress in presidential war powers and in the conduct of specific U.S. military operations may well grow in FY 2019. Shifts in party representation on Capitol Hill could cause heightened interest, but operational or geopolitical dynamics could also drive media and legislative focus. Relatedly, concern over the state of civil-military relations is growing on the left and the right. The accelerant fueling this concern is the rise of the Joint Staff to assume the central role in staffing and advising the Secretary of Defense on a wide range of issues, a trendline that began in the latter days of the Obama administration. These issues—operational matters and the demise of access and influence from civilians within DoD—are today being subordinated to the higher goal of protecting Secretary Mattis from any criticism that might precipitate his departure. The Secretary of Defense is a bulwark against catastrophic operational decisions that could issue forth from the White House. Should he depart, the collective silence over the poor state of civil-military relations inside the Pentagon would likely leave with him. A second good news story from the year was the solidification of a bipartisan consensus in favor of prioritizing U.S. military (and national security) efforts on meeting challenges from China and Russia. The 2018 NDS identifies the problem set succinctly: China and Russia are engaged in multidimensional competitive strategies that undermine U.S. interests, and they are gaining significant ground. The NDS was soon accompanied by an FY 2019 president’s budget submission, and senior leaders testified to the strategic alignment of their proposed budgets through the spring. What surfaces from the data, though, is a near-term “get healthy” plan for FY 2019 and big expectations that the Trump administration’s strategic course will be fully revealed in FY 2020. Deputy Secretary Shanahan went so far as to refer to the coming FY 2020 budget submission as “the masterpiece.” That ahistorical timing—waiting for the administration’s third budget submission—is late for attempting to cement a Secretary’s strategic legacy. The delay of decisions normally settled in an administration’s second year creates two risks. The most important risk is that inertia will overcome momentum to innovate. The second risk is that the administration will not have time to calibrate the appropriate U.S. military course to meeting the strategic competition challenge accurately. Technological innovation is important to watch, such as Congress’s appropriation of substantial unrequested funds for hypersonics research and prototyping, but I will be especially focused on the department’s demonstration of commitment to concept development, experimentation, and associated training for the competition challenges identified in the NDS. In areas where change is manifesting largely in organizational redesign, such as space operations and army modernization, it will be critical to ensure wiring diagram efforts catalyze, rather than sidetrack, efforts to generate mission-critical capability quickly and efficiently. In cyberspace, where authorities are being pushed to the operational level, success will be gauged by the degree to which there is a strong alignment of strategic goals to more decentralized employment decisions. Budgets: The Two-Year High. Will There Be a Crash? The passage of the 2018 Bipartisan Budget Act (BBA) provided sizeable real-dollar increases in national defense funding above the Budget Control Act (BCA) budget caps for FY 2018 and FY 2019. The agreement and corresponding FY 2019 defense authorizations and pending appropriations signal a recognition that the ambition of the defense strategy must be matched with equal investment. It was not long ago that the Republican Party was divided between deficit hawks and defense hawks. Today, Republican deficit hawks are either quieted or departed, and defense hawks are ascendant. In the Democratic Party, opposition to substantial defense spending remains. However, the issue has generally paled in comparison to achieving the party’s domestic budget priorities and, in any case, Democrats do not hold power in either chamber. The 2018 BBA only lifts the caps from the existing BCA for two years, so either a new deal will need to be struck for FY 2020 and FY 2021, or the BCA caps will fall back in to place. The true test of any strategy’s influence is its instantiation in capabilities and initiatives. The “get healthy” readiness investments made in FY 2017 through FY 2019 are already providing value. But the full legacy of the Mattis strategy will hinge on the FY 2020 budget—the administration’s “masterpiece.” Possible political power shifts caused by the mid-term elections, increased public or political interest in the growing federal deficit , additional cuts to tax revenue, or downshifts in economic conditions all could put that plan at risk. It is difficult to imagine an outcome in which Congress fails to enact new spending caps above the BCA, but should that happen, it could cause well over $100 billion in defense program shortfalls for FY 2020 and FY 2021. If there is a decline in the means available for defense, and especially if that decline is accompanied by a lack of progress in innovation and an inability to meet the ambitious goals for internal efficiencies on which Secretary Mattis’s modernization plans appear to be resting, the strategy’s mid- to long-term ambitions could require a wholesale strategic rethink. As we reach this endgame of 2018, it is hard to be sanguine about the state of defense. 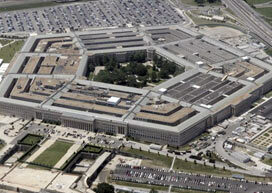 DoD leadership should be commended for pushing forward with daily business amid myriad distractions and obstacles. Their approach has led to greater normalcy and freedom from politics than their counterparts at the State Department, National Security Council, or in the Intelligence Community enjoy. Yet the advantage is truly only relative. Advancing the defense agenda laid out by Secretary Mattis in February requires far-reaching changes in how the U.S. military links strategic and operational levels of conflict, integrates its capabilities with others, rigorously and systematically harnesses innovation to meet operational challenges, and rationalizes force sizing, shaping, and resourcing approach. It also requires a stable resource picture and a functioning national security apparatus that can effectively orchestrate the tools of national power to meet the multidimensional nature of the challenges we face. DoD leaders might “row well, and live” today, but the stakes of serious competition are too high to rely on a mere survival strategy.